An assassination is a murder of an individual, who is usually a famous celebrity, politician, religious figure or royal. Usually in cases of assassination there is a clear motive – jealousy, political or religious idealism, contract killing, revenge etc. This list outlines the circumstances surrounding the death of 10 of the most famous successful assassinations in world history. 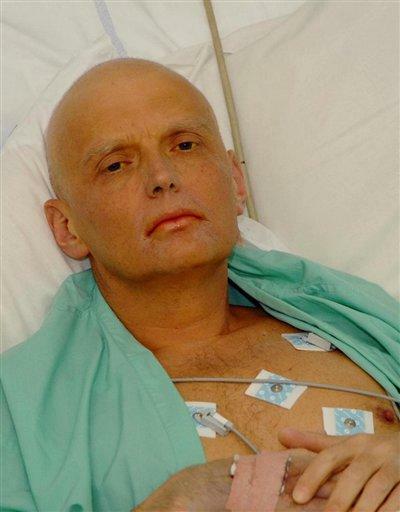 Alexander Litvinenko was a Russian KGB agent, turned dissident and possible MI6 agent. On November 1st 2006, Litvinenko fell ill after eating at the London sushi restaurant Itsu. He had been receiving evidence about another murder while he was eating at the restaurant. On November 3rd, Litvinenko’s condition deteriorated and he was rushed to Barnet General Hospital in London. He died three weeks after his hospitalisation suffering from acute radiation syndrome spawned from exposure to the radioactive polonium-210. The incident gained huge worldwide media coverage, probably due to the similarities in the case to Hollywood spy movies. It is now accepted that Litvinenko was poisoned by a cup of tea in his hotel room. No one has been convicted of the murder; however, there are suspicions of Russian government involvement. Litvinenko died aged 44. Lee Harvey Oswald was a former marine who the United States government claim was responsible for the assassination of President John F. Kennedy. 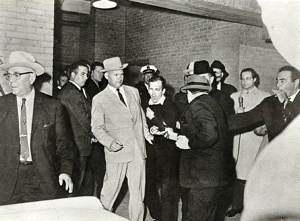 Whether or not this is true, Oswald was himself assassinated two days after the fatal shooting of the President in the basement of the Dallas Police Headquarters by Jack Ruby, a Dallas nightclub owner with links to organised crime. Ruby had apparently been upset and angered by the murder of the President and had sought revenge. Oswald was shot on November 24th 1963 and died later that evening, aged 24. US Senator Robert F. Kennedy was the younger brother of John F. Kennedy. He was shot in the early hours of June 5th 1968 by a man named Sirhan Sirhan. 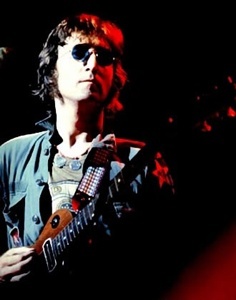 A day later, Kennedy died in hospital. 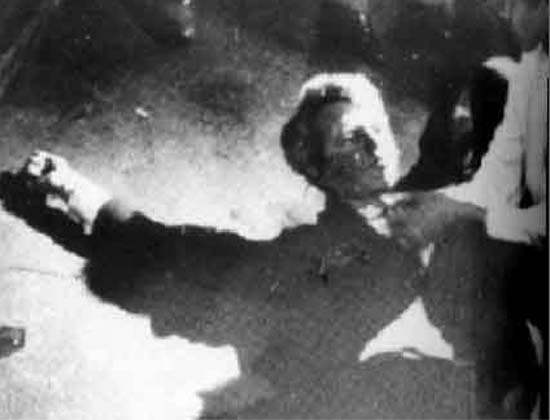 Kennedy had been shot four times at point-blank range. RFK as he was sometimes known had been a Presidential Candidate for the Democratic Party. It is unknown what Sirhan’s motivation for killing Kennedy was, however, it is assumed he was a Palestinian terrorist seeking revenge for the US support of Israel in the Six Day’s War of 1967. Kennedy died aged 42. Malcolm X, also known as Malcolm Little was an American black Muslim minister. He is often seen as the man behind the Black Power movement of the 1960’s and 1970’s in which African Americans radicalised and became driven toward freedom and towards gaining the respect of their fellow Americans. Malcolm had previously been a member of the Nation of Islam, however, he had become a Sunni Muslim. Apparently, following this, the Nation of Islam had given orders for the assassination of Malcolm X. On February 21st 1965, Malcolm had begun giving a speech when a man rushed through the crowd and shot Malcolm X with a sawn-off shotgun. Two other men joined in and Malcolm was shot a total of 16 times. The three men who killed Malcolm X were all members of the Nation of Islam. Despite often being labelled as a cold-hearted radical and a menace, the world was sympathetic towards Malcolm following his assassination. 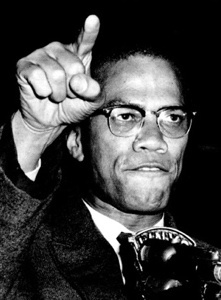 Malcolm X died aged 39. 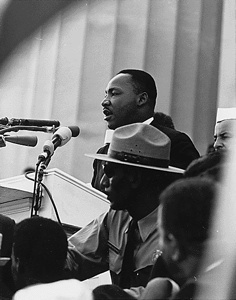 Martin Luther King was the main man behind the American Civil Rights Movement. The movement was an attempt to abolish the racial discrimination of African Americans. King himself was black. On April 4th 1968, while standing on the balcony of his second floor motel room, King was fatally shot. Following the assassination there were riots in over 60 cities across the USA, and five days later, President Johnson declared a day of mourning. Two months later, escaped convict James Earl Ray was captured in London, and was extradited to Tennessee where he faced the a charge of murder against King. Ray was a white man who was opposed the African-American Civil Rights Movement. Abraham Lincoln was the 16th President of the United States, and held tenure from 1861 until his death in 1865. John Wilkes Booth was a Confederate spy, who had become angry at the President because of his support for the freedoms of African Americans. 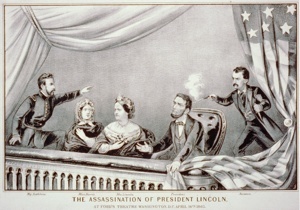 He became determined to assassinate Lincoln. On April 14th 1865, Lincoln was going to the theatre. With the presence of only one bodyguard wandering through the theatre, Booth seized his opportunity. He waited until laughter filled the theatre and shot the President in the head. Booth escaped, but was caught and fatally shot twelve days later. Lincoln was aged 56 at the time of his death. Julius Caesar was a Roman political and military figure in the 1st century B.C. He was a successful military leader and following considerable success he started a civil war in the Roman Republic. Following this, he was proclaimed dictator. 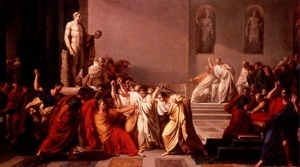 However, some senators in Rome were disillusioned by what Caesar had done, and so planned an assassination to take place on the Ides of March. 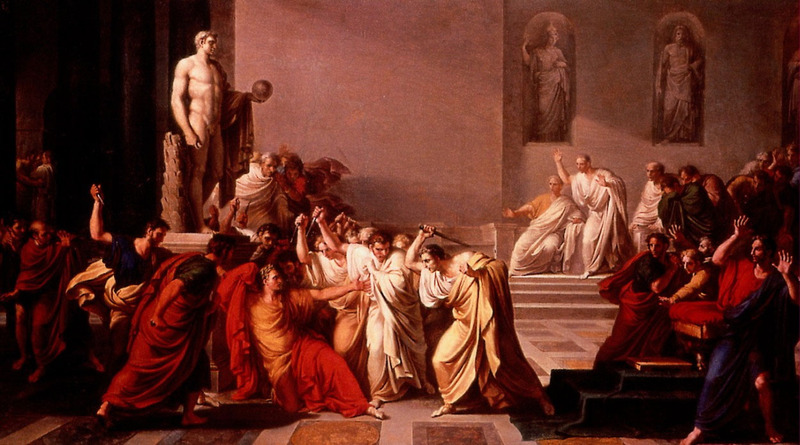 While walking past the Theatre of Pompey, Caesar was stopped by a group of Senators to read a fake bill which was allegedly to give power back to the Senate. As Caesar did this, he was stabbed. According to historical evidence, there were as many as 60 Senators present. After Caesar was stabbed he tried to run away, but fell and was stabbed repeatedly on the floor. He had 23 stab wounds. His death marked the end of the Roman Republic, and out of the bloody aftermath emerged the Roman Empire. At the time of his death, Caesar was 57 years old. Archduke of Austria Franz Ferdinand, and therefore heir to the Austrian throne is largely considered to be the catalyst for the beginning of World War I. On June 28th 1914 he was on a visit to Sarajevo, which was at that time a territory of Austria. While riding in an open-top car, he and his wife Sophie were shot by members of The Black Hand which was a Serbian group attempting to gain independence for all the states annexed by Austria-Hungary. World War I began two months after the assassination, with Austria-Hungary declaring war on Serbia. This declaration of war started a domino effect across Europe in which all the allies of Serbia declared war on Austria-Hungary and all of its allies. At the time of his murder, Ferdinand had been 50 years old. John Fitzgerald Kennedy was the 35th President of the United States. He served from January 20th 1961 until his death on November 22nd 1963. His Presidency was one of the most event-filled of the 20th century. The space race, American Civil Rights Movement, Cuban Missile Crisis, the building of the Berlin Wall, and the beginning of the Vietnam War all took place during his Presidency. 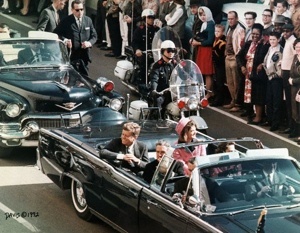 Despite there being hundreds of witnesses to his assassination there is a lot of confusion surrounding Kennedy’s death to this day, leading many to suspect a conspiracy. 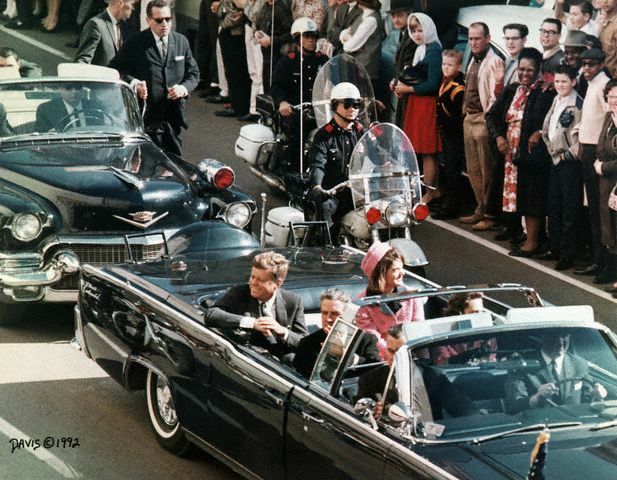 Just before 12:30pm, Kennedy was travelling through Dallas in his open-top limousine. 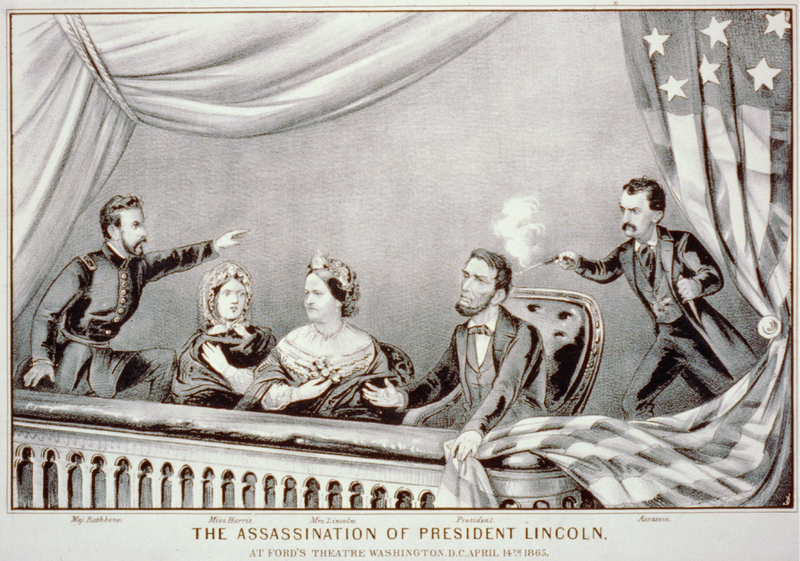 Three shots were then fired from a high-powered rifle, which all entered the president. Kennedy died soon after in hospital. Lee Harvey Oswald (see number 10) was charged with the murder of the President. This assassination in particular has had many conspiracies theorists, especially considering the until he died, Oswald maintained his innocence. Among those who have been accused are the FBI, Cuba, the CIA or the USSR. Many believe that there could have been a conspiracy among these groups. There has never been any conclusive evidence to prove that Oswald acted alone, or if he was even involved in the murder. Despite numerous investigations, the death is still shrouded in mystery. 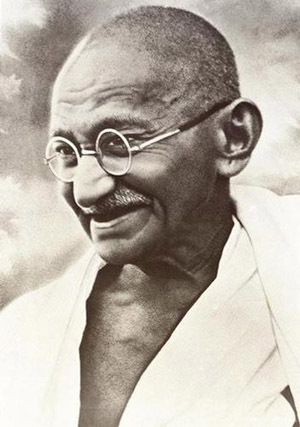 On January 30, 1948, Gandhi was shot and killed while having his nightly public walk on the grounds of the Birla Bhavan (Birla House) in New Delhi. The assassin, Nathuram Godse, was a Hindu radical with links to the extremist Hindu Mahasabha, who held Gandhi responsible for weakening India by insisting upon a payment to Pakistan. Godse and his co-conspirator Narayan Apte were later tried and convicted; they were executed on 15 November 1949. Gandhi’s memorial at R?j Gh?t, New Delhi, bears the epigraph “H? Ram”, which may be translated as “Oh God”. These are widely believed to be Gandhi’s last words after he was shot, though the veracity of this statement has been disputed.